We packed so much into our time in Scandinavia that it’s hard to know where to begin. As can happen if you’re not careful, one day seeps into the next and memories become misplaced. But that’s the great thing about Chazen trips: the intensity is incessant without being particularly uncomfortable, meaning every minute is accounted for. And we made the most of our time, mixing company visits with cultural events, indulging touristic impulses and making believe we were residents. The truth is, the culture isn’t all that much different from New York’s – though maybe the Scandinavians wear more red pants (a trend I’m sure we’re not too far behind on). And because of that, these countries are exceedingly easy to travel to. The natives speak better English than the Americans do, and everyone is helpful and nice and deeply in love with and proud of their country. And the food, the food, the food. This being the Innovation + Business Club, our group overlapped heavily with the Gourmet Club on campus, and it seemed like everyday we were swapping stories about the incredible restaurants we were finding. Everywhere we went in Copenhagen and Stockholm was worth it, but a few that stand out are, in Copenhagen, Radio, Koefoed, Manfreds and Geist (we went twice, the second time just for the “air on air on air tiramisu”) and, in Stockholm, Fem Sma Hus, B.A.R., Pontus and Bakfickan, behind the opera house and well worth two trips for the meatballs. (Sincerely, they’re out of this world.) As for bars, don’t pass up Ruby in Copenhagen, or Fisk Bar, even though you have to walk through the dodgy red-light district. And in Stockholm, we couldn’t seem to get enough of Riche (both sides). My favorite restaurants were Koefoed and Fem Sma Hus, where, under the ancient vaulted ceilings we ate cured salmon topped with cucumber and cauliflower and mustard sauce, utterly smooth, and where I rediscovered Swedish deserts, which I had been dreaming of since I first visited the country ten years before. Let’s just say it was as smooth as I remember. Sweden may be famous for its meatballs, and, based on what we had at Bakfickan, it should be. But it seems they do ice cream like no other country can. I can hardly wait to go back for more. Of course, I won’t have the benefit, then, of traveling with my classmates. Anyone with more time left at CBS should consider adding a Chazen trip to their to-do list. One of the beauties of being at CBS is that the hit rate is so remarkably high – in my four semesters, I haven’t really met anybody I couldn’t almost immediately get along with. As is often true even outside of business school, getting outside your regular environment is the best way to catalyze lasting relationships. Such is the case with our trip to Scandinavia. When I first saw the roster of travelers, I was excited by the fact that I had only superficial relationships with any of them. What a great way to get to know new people, I thought. And I was right: I walked the streets of Copenhagen and Stockholm with these people for a week, and I hope to keep in touch with them forever. I see them in the hallway now and it’s as if we went through something together, but I know that’s just me being romantic. I feel blessed to have spent the nine days in Copenhagen and Stockholm under the aegis of our three organizers, Rachel, Zak and Laura. It’s clear how much work went into planning this trip, and how much effort it took to wrangle it all together. I know I’m not alone in thinking we are supremely lucky to have them as our organizers – thanks to them, everything has been wonderful, from our company visits to our meals and hotels. We owe them our deepest gratitude. One final point, for those who may follow us to Scandinavia: No matter how persistently you ask, bartenders will not put Ace of Base on the speakers. But they will play Abba. 1 country, 2 special administrative regions, 9 passport stamps, 12 company visits, not to mention planes, trains, automobiles, and boats! There’s no denying the Chazen China trip was moving and shaking for a full week. Now that I’ve had some time to digest it all and recite the details of the trip to friends and family (not to mention fully adjust back to Eastern Standard Time), I find myself repeating certain details and questions that I found to be major takeaways of the trip. – Beijing Matters: The central government’s role in Chinese economics is obvious and profound. The policymakers in Beijing take on a lot more responsibility then most others. For example, the Chinese government owns all of the land in China (yes, all of it); you can only develop or own property in leased fee status, which means that you are essentially leasing the ground from the government for a certain period of time. When that lease expires, the government can technically just take the building back, no questions asked. This hasn’t happened yet because no ground leases have come to their expiration date yet, but it’s the 800-pound gorilla in the room anytime anyone is interested in developing property in mainland China. This is just one example of the government’s reach and influence, but shows how dealing with policymakers can be somewhat sticky. – Population Situation: China’s 1.3 billion people is obviously a big figure, and is still growing (albeit at a slower pace due to the one-child policy). Most people predict the high pace of urbanization to continue in China at a rate of approximately 80 million people per year (equivalent to the population of Germany). There are already over 150 cities in China with over 1 million people. Where will most of these people work in order to support that type of population movement? According to the visits we had, about half of them will have college degrees. What will be the makeup of both the cities’ demographics and the real estate property mix? Longer term, what will the impact of the one-child policy be? What will it mean for China’s workforce in the future? This will have a big impact if China truly wants to transition from a net exporting economy to an economy that relies more on domestic consumption. – Pollution Solution: One thing we could not get away from in either Shanghai or Hong Kong was the air pollution. It’s unfortunate, since both cities have tremendous skylines to showcase. We recently debated in my Global Economic Environment class whether China could continue to grow without major pollution effects. The answer was contested, but after having been there its obvious there’s a long way to go in the major metropolitan areas, despite the fact that the manufacturing operations are on their way out to the tier 2 and 3 cities. – Debt’s Not the Issue: Unlike the US and other major Western economies, China doesn’t have an overleveraging problem in their residential real estate sector (at least for now). Consumers rarely take mortgages that are higher than 50% of the value of the property (compared to upwards of 80% in the US). So if China were to undergo a “bubble popping” that so many are predicting, it won’t be because of over-leverage. It’s more likely that if anything extremely negative did happen in China, it would be a black swan situation that no one saw coming rather than a debt issue. – Unique Urban Landscapes: Shanghai and Hong Kong are genuinely beautiful cities, albeit in different ways. 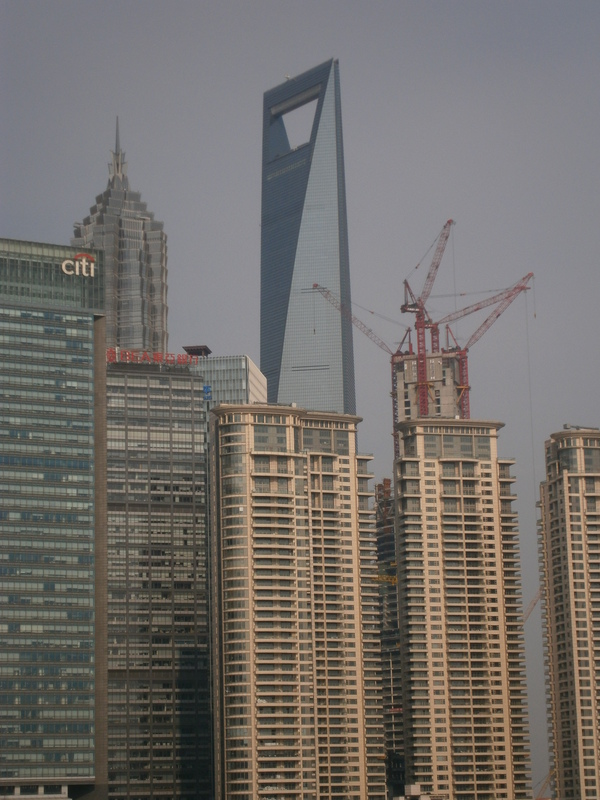 Shanghai has a dazzling office district, and has a number of beautiful urban areas throughout its massive area, despite some zoning inconsistencies. Hong Kong is obviously a lot smaller, but still has an amazing array of commercial real estate to show off along the reclaimed shoreline. They are definitely places worth visiting for the real estate, as well as for the unique cultural aspects of daily life. Overall the trip was a huge success in terms of the quality and variety of the companies we visited, the number of sites we toured, and the breadth of the education we received. It was certainly worth the 30 hours of flying, the bureaucratic red tape, and massive jet lag. Thanks for following along. I hope you enjoyed all of the Chazen blog posts throughout our spring break! 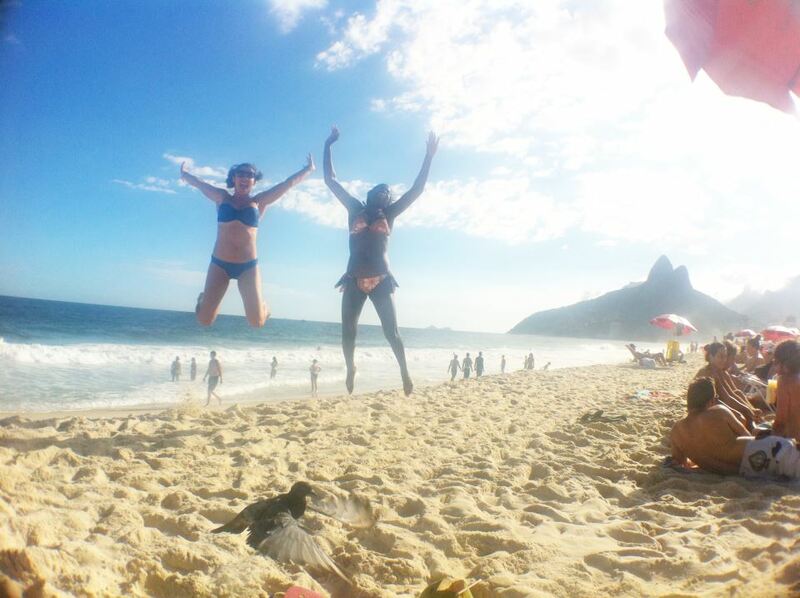 It was definitely not all work in Rio and how could it be in a city with such a care-free and vibrant vibe? I think we successfully soaked in the day and night life of this vibrant town. The city is much more relaxed, open, and definitely less clothed than our Northeastern metropolis of New York (or Sao Paulo, for that matter). 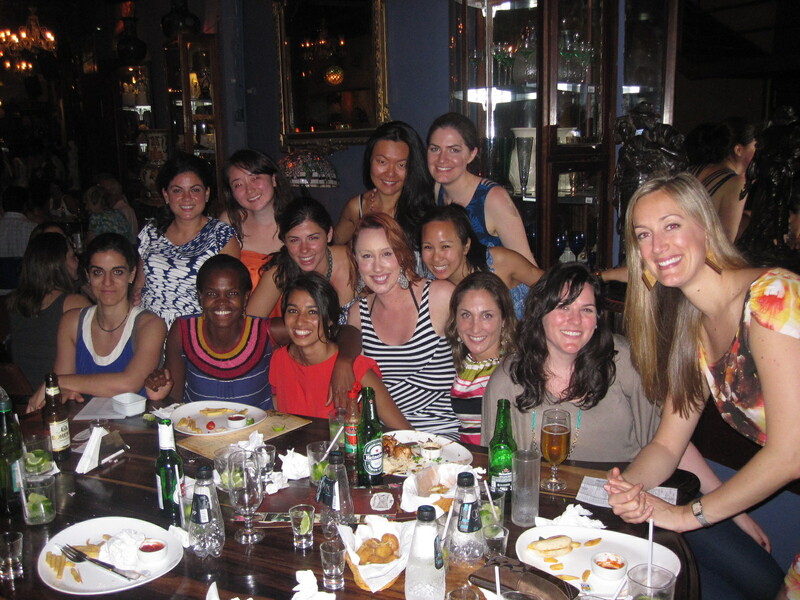 I think we can all agree that we enjoyed Rio’s nightlife to the fullest. 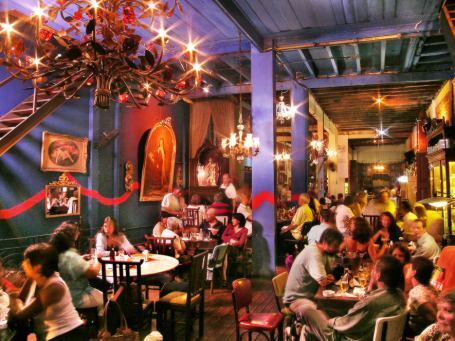 For a true taste of Brazilian music, we headed off to Rio Scenarium on Thursday night. 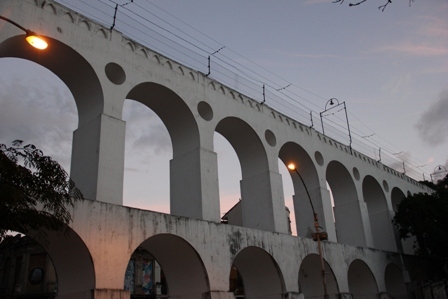 It is located in the fun and historic area of Lapa, known for its nightlife and slightly bohemian feel. 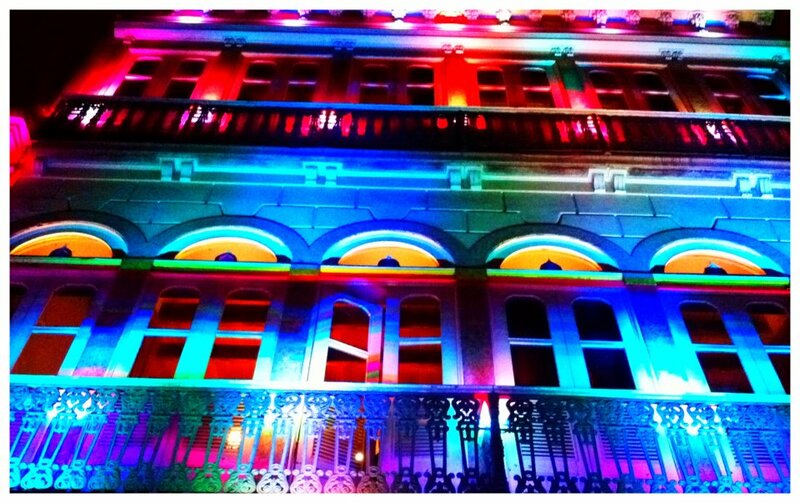 Rio Scenarium captures the essence of Lapa with its colorful décor inside a historic colonial mansion. A delicious light dinner and a caipirinha/caipiroska or two later, we are ready to head down to the first level for some live music. 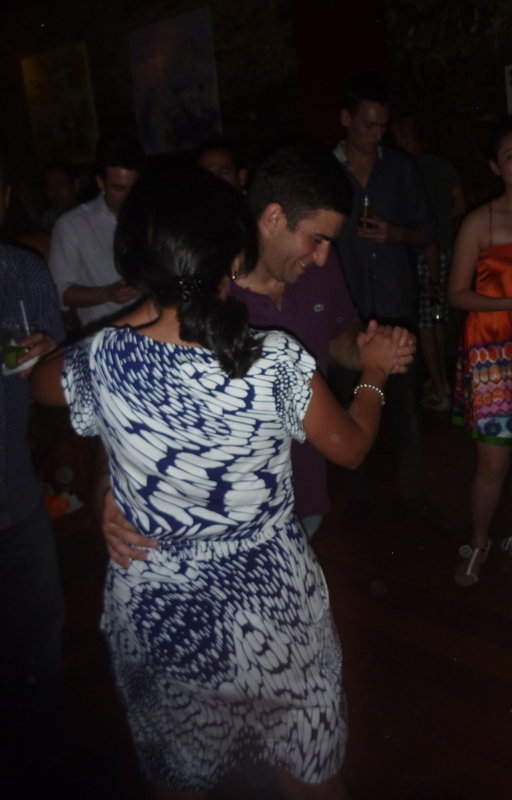 We discover that the samba makes the caipirinhas flow down easily, as we let loose to the lively rhythms and beats that emerge from the stage. The long night allowed us to explore other nightlife later on around Ipanema and it certainly did not make it easy to wake up early on Friday! 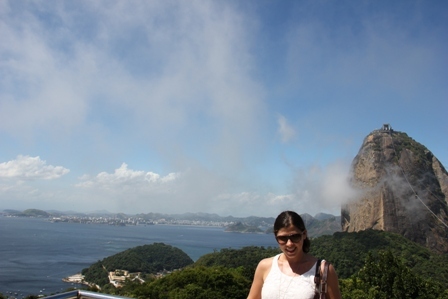 During our free time and the sadly, few sunny days we had, we tried to see all the sites: Sugar Loaf mountain, the Christ, and of course, tanning and lounging in the beaches of Ipanema and Copacabana. As I boarded my plane back and heard a “temperatura da 46 grados farenheit” in New York, I cringed at the thought of wearing anything long sleeved or closed-toe shoes. 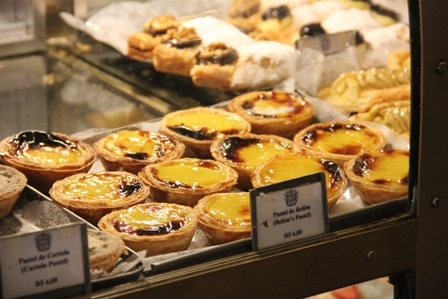 Alas, no more caipirinhas or pão de queijos ahead, but my body will surely welcome that. Back to the hussle and bussle of New York. Brazil, I will definitely see you soon. Muito obrigada! On Wednesday night, we arrive in Rio de Janeiro. 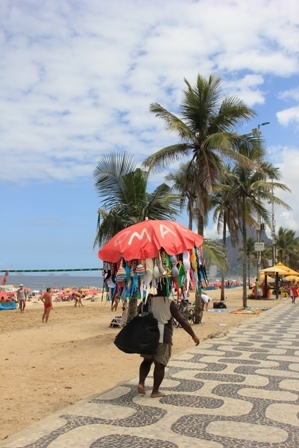 It’s a quiet night for most of us as a few head out to Garota de Ipanema (which literally translates to “Girl from Ipanema”), close to our hotel and right in the heart of Ipanema. This restaurant is where the famous song “Girl from Ipanema” is said to have been written by Antônio Carlos Joim and Vinícius de Moraes. Our very Carioca (what people from Rio de Janeiro are called) tour guide, Raquel, informs us the next morning that the actual girl who inspired the song, Helo Pinheiro, is now in her 60s, living in Sao Paulo as a successful business woman with her own line of Brazilian bikinis named appropriately after her song. That night, we couldn’t really appreciate the natural beauty of the city until we departed on our bus the next morning. 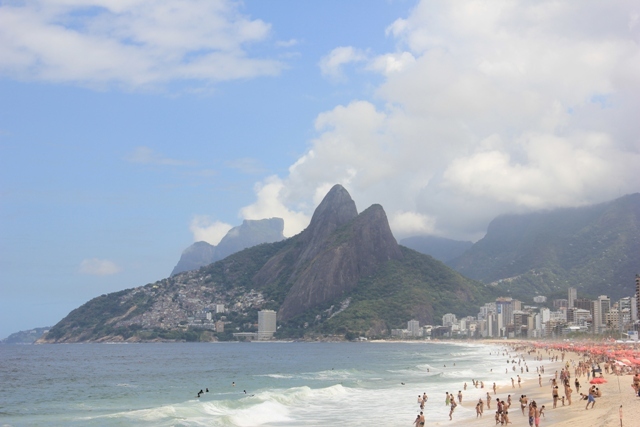 It was hard to be as excited about the meetings that day when our first sight was Ipanema beach followed by a drive on Avenida Atlantica, which lines Copacabana beach. 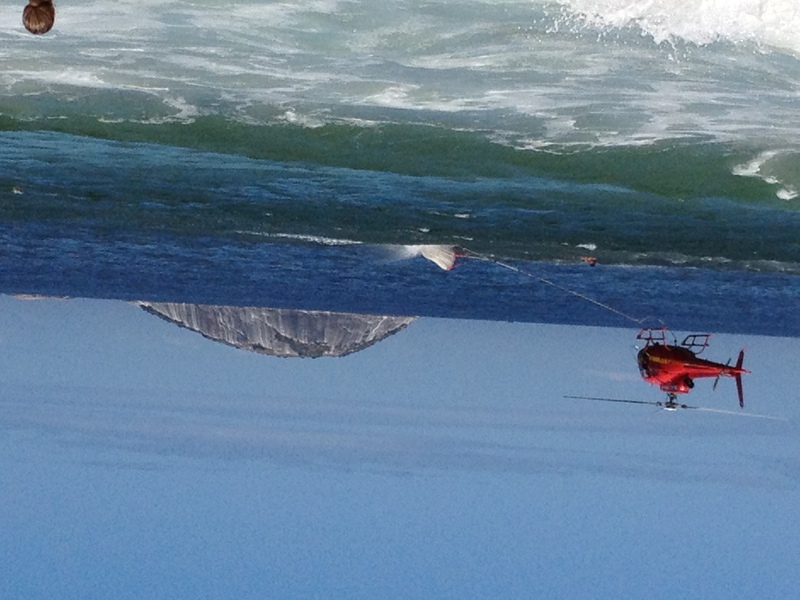 Ipanema means “rough waters” in Guaraní and we don’t find that hard to believe as over the next days, some of us witnessed a couple of rescue drills when people swam too far off shore. 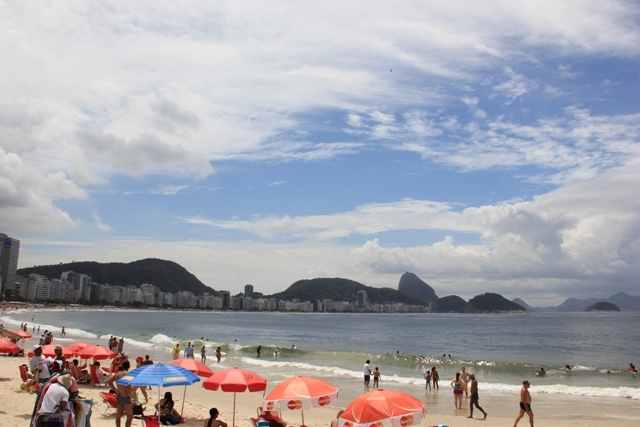 The mile long Ipanema beach runs from Leblon on the west to Arpoador in the east. 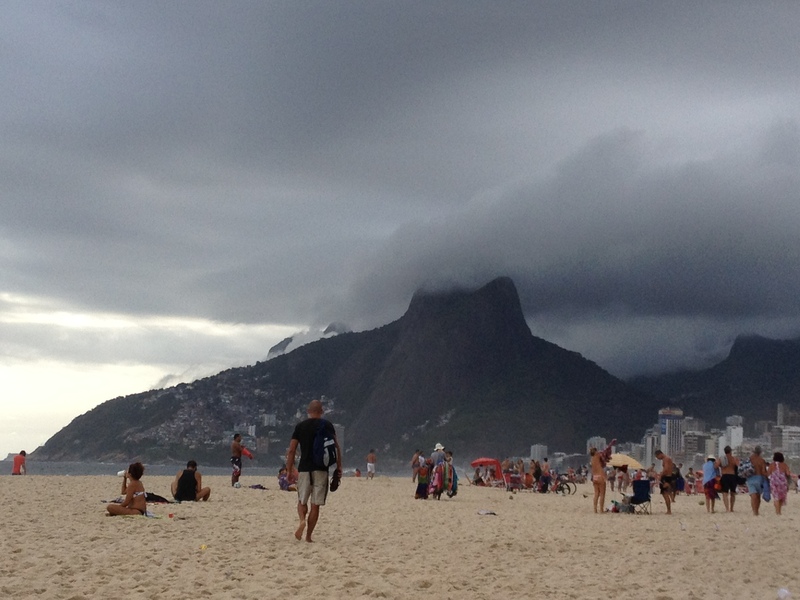 Ipanema and Leblon are more residential than Copacabana. The Avenida Vieira Souto that lines Ipanema is one of the most prestigious addresses in Rio. Arpoador extends the beach another half mile and is popular with the surfers (pics). 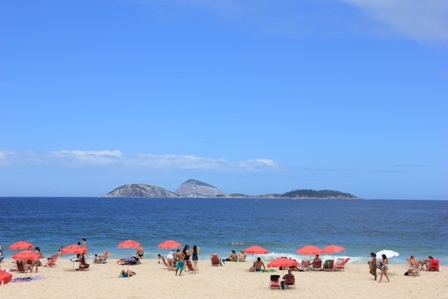 Next to the east is Copacabana which means “blue ocean” and is a famous tourist beach from which you can see Pao de Açucar (Sugar Loaf Mountain). It stretches over three miles long. We learn that this is the place to go on New Year’s Eve, where Cariocas decked in white and holding flowers fill the beach. At midnight, they then throw the flowers into the water. But alas, we have some work to do, so we head downtown to “centro” where most of the city’s financial and commercial businesses are. 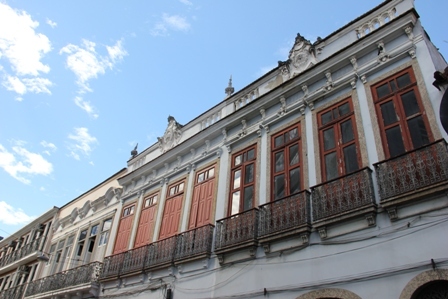 Just like in Sao Paulo, this is also the historic part of city and its colonial past is evident in many of the buildings, some of which date all the way back to the 16th century. 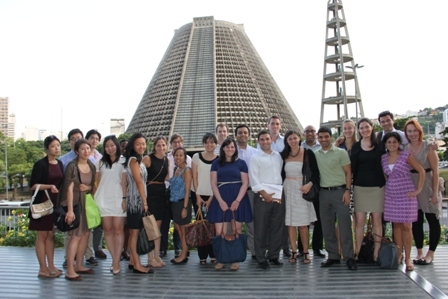 Our first stop that morning was Petrobras. Its office building is a massive structure that would clash with the historic centro, except that it is surrounded by equally 60s/70s style modern architecture. 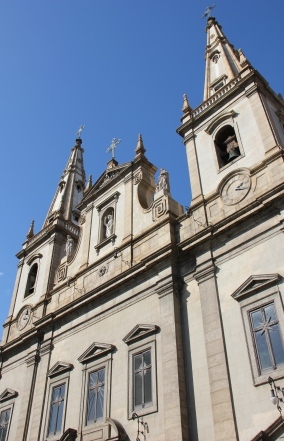 The building is right next to the Catedral Metropolitana do Rio de Janeiro which can fit up to 20,000 people! 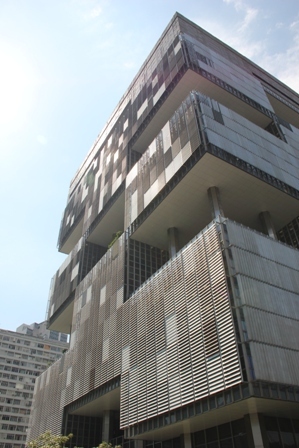 Petrobras is the third largest energy company in the world. 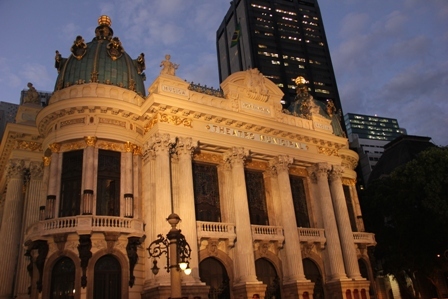 Although a publicly traded corporation, its majority stockholder is the Government of Brazil. As an energy company, Petrobras is engaged in exploration and production, refining, oil and natural gas trade and transportation, petrochemicals, derivatives, electric energy, biofuel and other renewable energy source distribution. 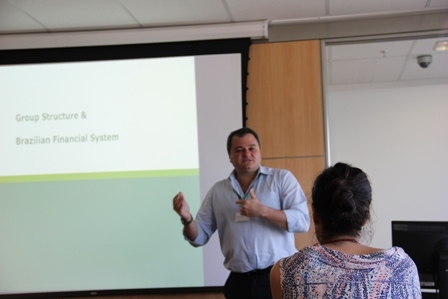 We learned from Carlos Henrique Castro that 95% of its total oil production comes from the South/Southeast region of the country where 70-75% of the country’s wealth resides. Petrobras is moving from oil and gasoline to other types of energy fuels and it is now, in fact, the third producer of ethanol in the word. It decided to go into ethanol production because there was simply not enough ethanol in the market to supply its demand. Growth in fuel consumption in Brazil has exploded in the past years. From 2010-2011, it grew 24%. This increased demand came from the rise of Brazil’s class C and D, which had more disposable income and the ability to purchase cars. 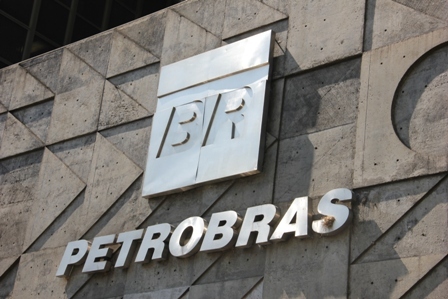 This increase also forced Petrobras to rely more on imports for the past years, decreasing profits. Their future production targets could seem aggressive since they plan to increase capacity in their platforms to 6 million bpd by 2020 when it is close to 2 million bpd today. 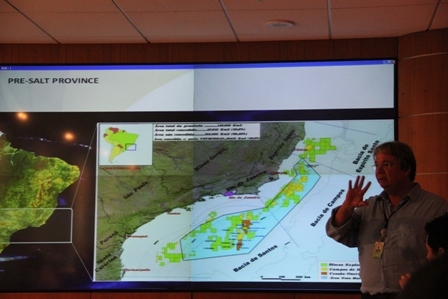 However, this is due to their confidence in the increased supply they will have from their pre-salt reservoirs (for more information: http://www.petrobras.com.br/minisite/presal/en/questions-answers/). 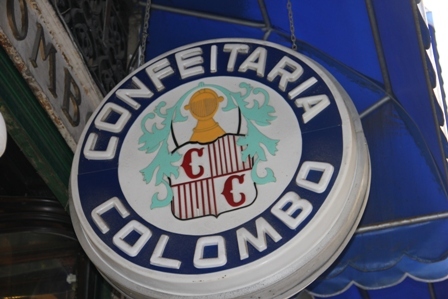 After our meeting, we headed for lunch at Confeitaria Colombo which is known for its desserts; specifically, its custard pie. Yet again, I discovered a new type of food I liked and became a new fan! 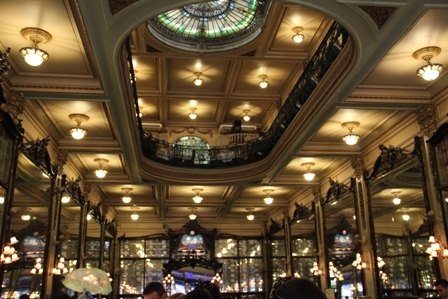 This tearoom dates back to 1894 and has a nice mix of Art Noveaux and Belle Époque décor. The best custard pie ever! We then explore a bit of “centro” and head to the Brazilian Development Bank (BNDES) to meet with Rodrigo Keller and Andrei Francalacci. 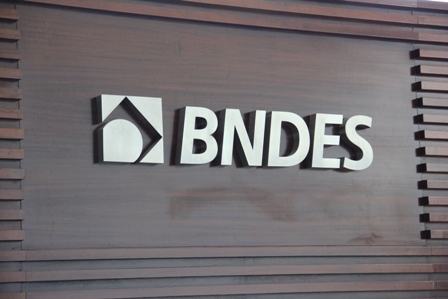 BNDES is the main financing agent for development in Brazil. Founded in 1952, its operations have evolved in accordance with the Brazilian socio-economic challenges, and now they include support for exports, technological innovation, sustainable socio-environmental development and the modernization of public administration, although it primarily funds infrastructure projects. It is 100% state-owned under private law and it works as both a first-tier and second-tier bank. Its loan recipients vary from legal entities established in Brazil (including foreign ones) to private individuals and Brazilian public administrations. We learned that it participates in companies from the seed level to mature and public. In fact, it funded Natura (which we visited last Monday) at the seed level all the way up to its IPO. Many of us were curious about the financing and planning for the World Cup. BNDES is financing many of these projects including the development and renovation of new arenas, transportation updates, service training programs, and airport renovations. They have, however, turned down some arena projects, reminding us that they don’t just approve any public projects, but in fact, have strict evaluating procedures when deciding which projects to invest in. Finally, on Friday we have our last meeting at the Municipality of Rio with Eduarda La Rocque, the Economics Secretary. She tells us that right now is “Rio’s time”. The city has attracted a lot of international media thanks to movies like the animated “Rio” and because it will host international events such as 20+ (The United Nations Conference on Sustainable Development, http://www.uncsd2012.org/rio20/index.html), the World Cup 2014, and the Olympics 2016. 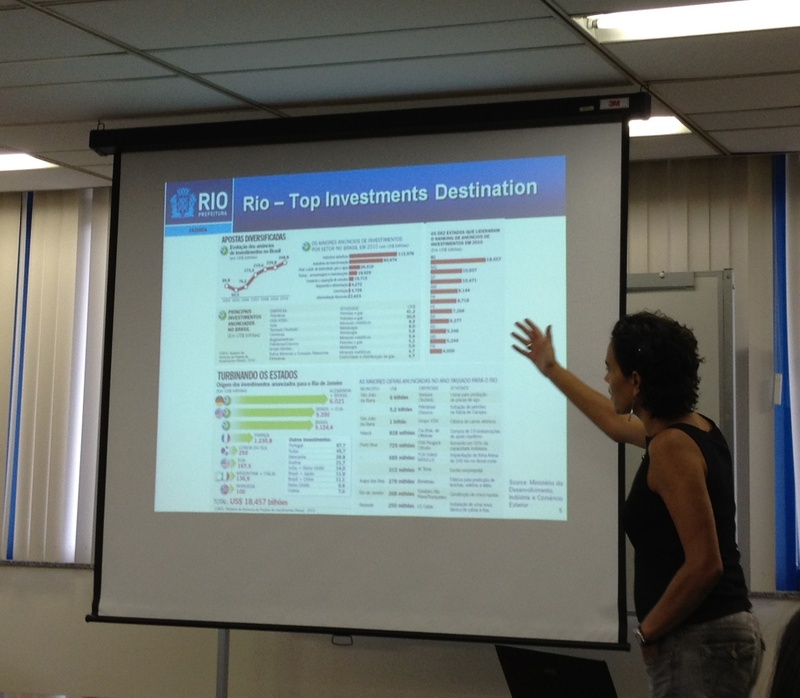 To prepare for these events the city has ongoing investments of over 130 billion BRL. Although we have heard otherwise in prior meetings, La Rocque is very optimistic about the city’s ability to host. 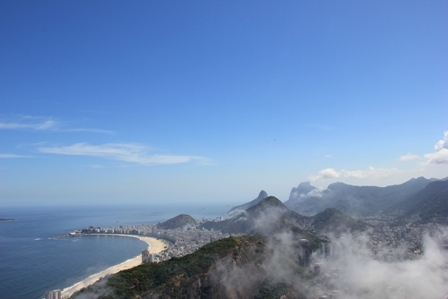 For example, we learned that for the 2016 Olympics, Rio is already ahead of schedule in its infrastructure improvements! She believes the games will revitalize the city in the same way they did to Barcelona in 1992. For this reason, they are investing in improving areas such as Rio’s Port Maravilha (www.portomaravilhario.com.br/). 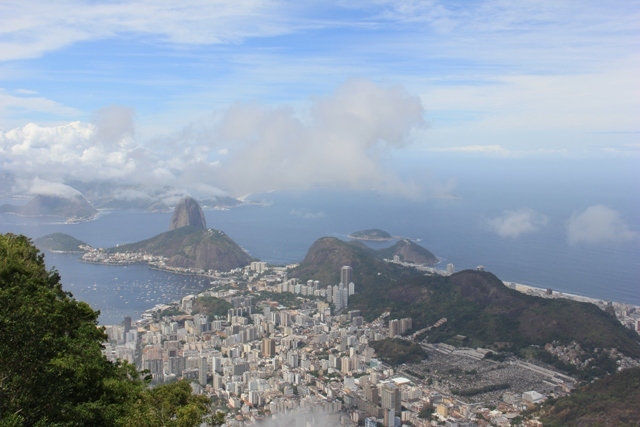 It is curious that most of us thought Rio would be a bit different than what we have experienced because so many of our friends and family who had previously visited warned us of how difficult and dangerous the city was. 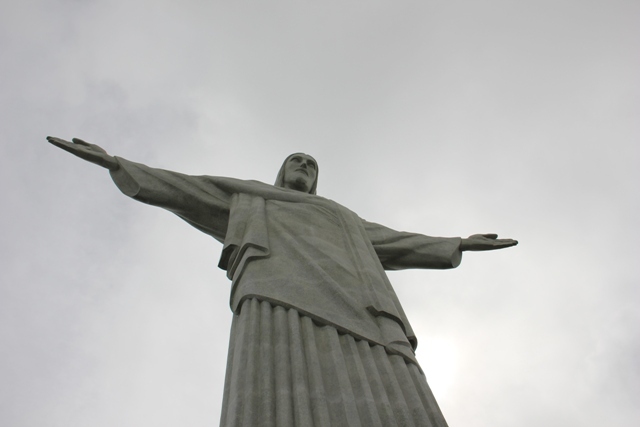 Movies like “City of God” also did not help shape our image of Rio de Janeiro. Yet, as Eduarda informed us, the city has changed a lot and become much safer and welcoming to tourists and businesses. This is thanks to initiatives like the UPP (Pacifying Police Unit of Rio, focusing mostly on favelas, see upprj.com). Continued improvements in Rio’s infrastructure and safety are essential for its growth and hosting success. As we were nearing Seoul, I decided to watch a Korean film offered on our flight to get a sense of the culture. Despite not always noticing such details, I saw that it was produced by Lotte Entertainment, probably biased by the knowledge that we would be hosted at Lotte Hotels by Lotte chairman and CBS ’81 grad, Mr. Dong-Bin Shin. 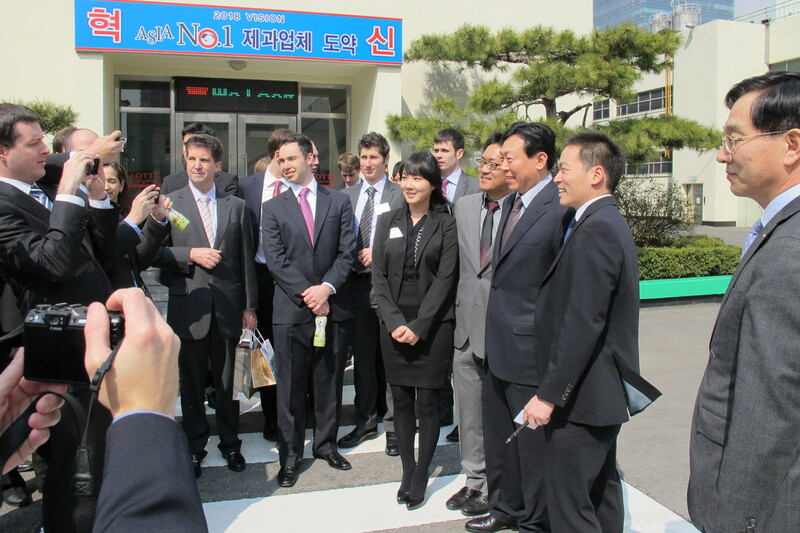 I had not previously realized the importance in Korea of Mr. Shin, nicknamed by our group as “Mr. Lotte”. 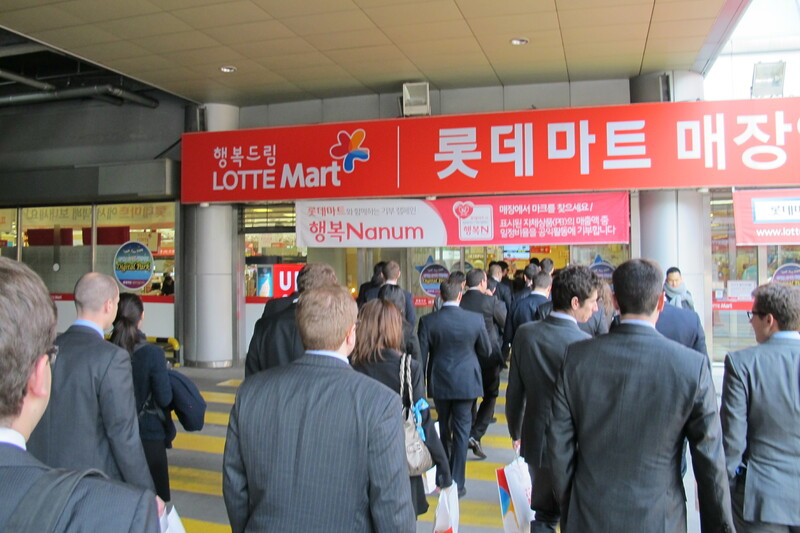 A country run by cheabols, Lotte Group’s presence could be felt everywhere in the country, as perhaps the biggest cheabol focusing on domestic consumer sales. Landing at Incheon Airport, one cannot miss the Lotte Duty Free. 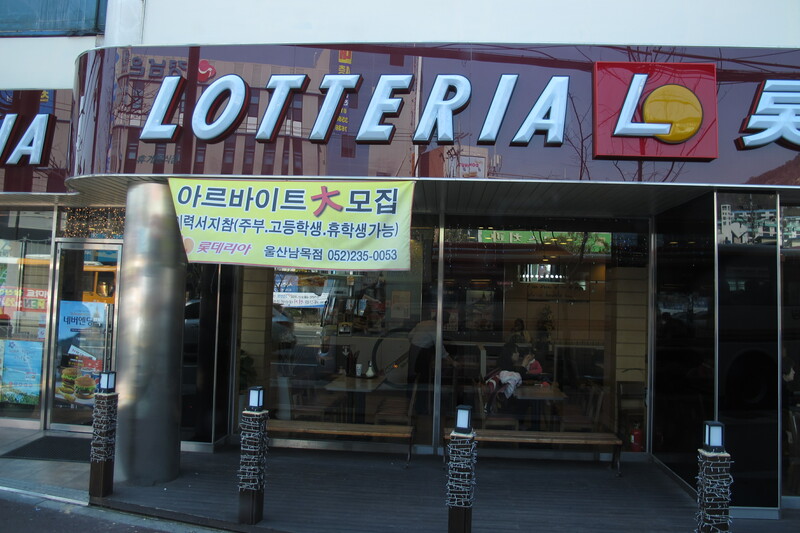 On the way to the hotel, you can see Lotteria food courts, Lotte Mart shopping malls, and even stores of the American Seven-Eleven and Krispy Kreme chains that have been (assumingly) licensed to Lotte Group in Korea. There are three Lotte hotels in Seoul, and Mr. Shin generously offers to host the CBS Chazen tour for free at the most prestigious of them. And the hotel staff takes every effort to make our stay enjoyable. We were greeted at the hotel by a team specifically dedicated to helping us check-in easily and seamlessly. 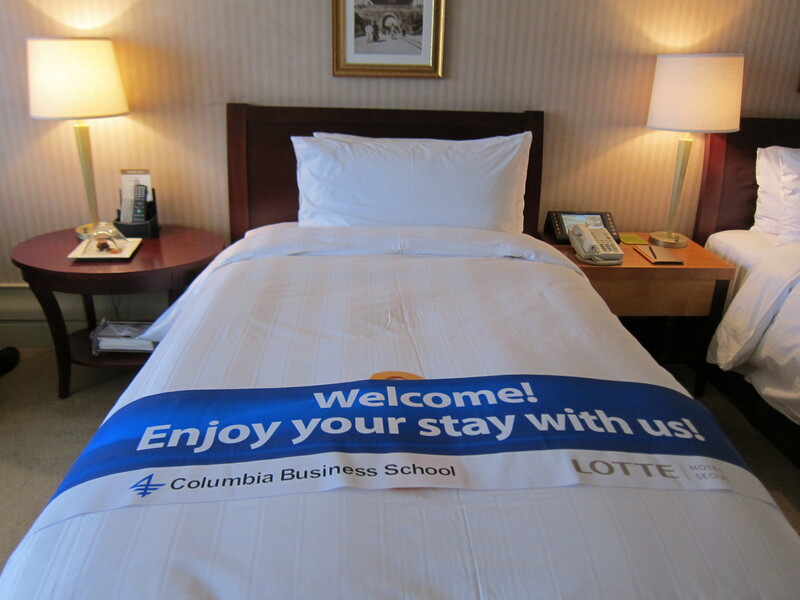 In our rooms, blue-and-white banners welcoming our CBS 2012 tour covered the beds. The real estate business is obviously very visual, so I figured the best way to blog about the various sights throughout Shanghai, Hong Kong, and Macau was to show you all. 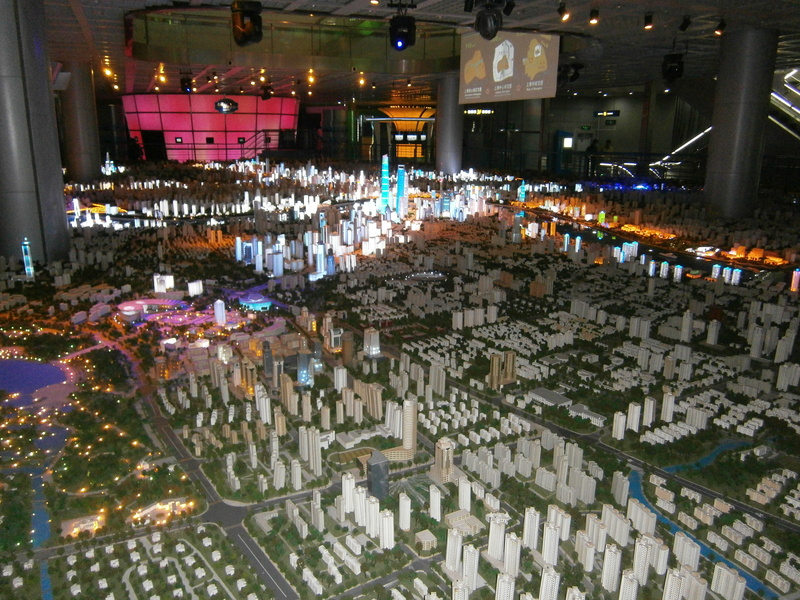 In Shanghai, we visited the Urban Planning museum, and got to see a scaled model of the entire central area of Shanghai. The model was intricately detailed (down to the small model cars in the parking lots), and provided our group a great way to familiarize ourselves with the layout of the city. If you look in the picture above, you’ll notice that some buildings are glowing, mostly along the highways and by the waterfront. Those glowing buildings are the planned building stock that will be completed by 2020; they aren’t even built yet! Obviously, it shows how serious China is about maintaining Shanghai as a financial center, as well as providing housing to a growing urban population. 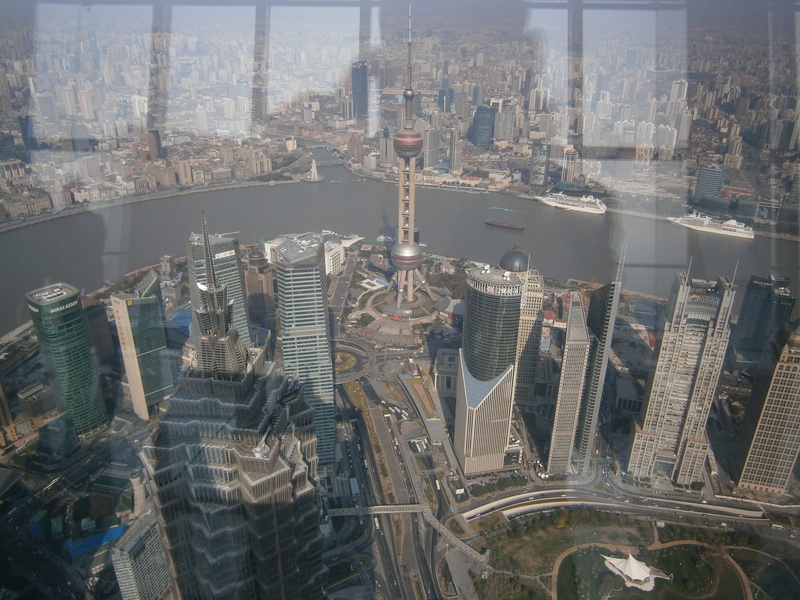 This was the view from the observation deck at the Shanghai World Financial Center. We were 474 meters (1,555 feet) above ground! 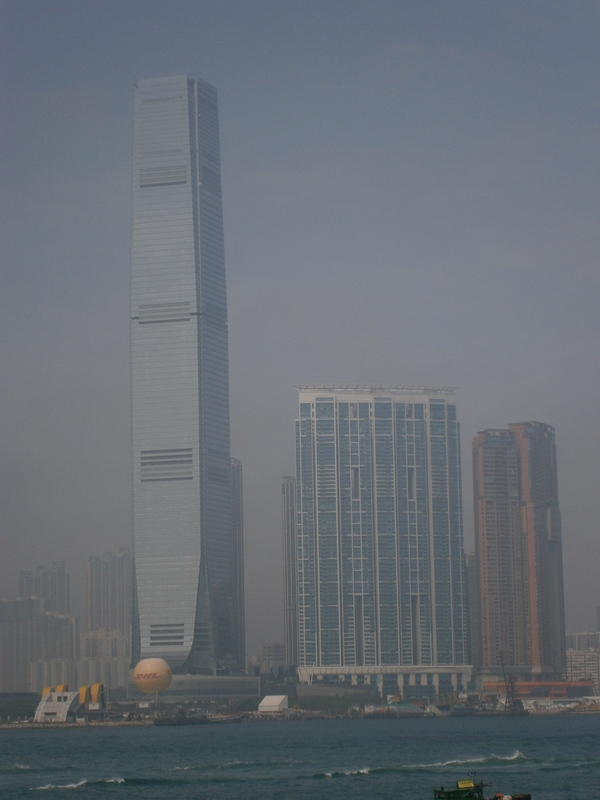 That fog your seeing was fairly persistent throughout our few days in HK. It’s actually mostly pollution, which was quite shocking. Not only did it detract from the beauty of the skyline pictures, but it also served as a constant reminder of how serious the pollution problem in China is. 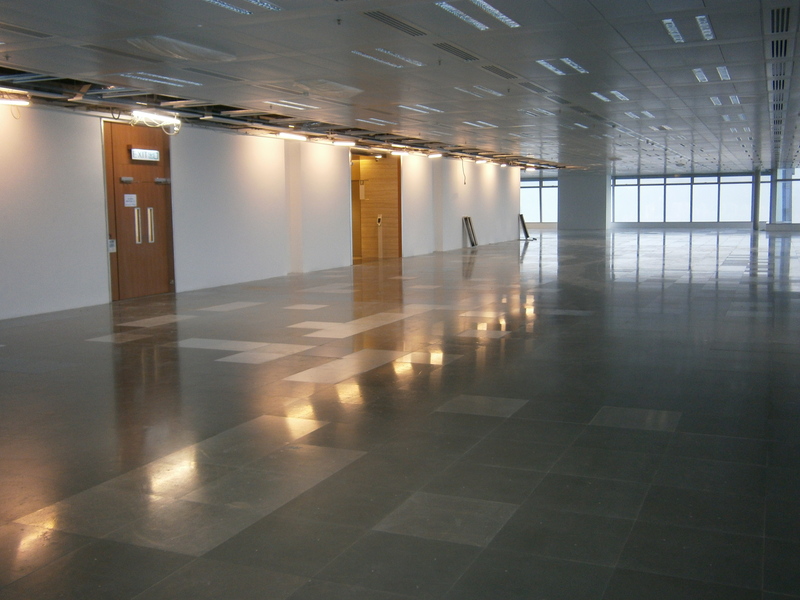 We also got to see some vacant office space in the ICC Tower during our visit to Morgan Stanley. It helped to give us a sense of the true layout of the building. On our day trip to Macau, we were fortunate enough to get a guided tour of the Venetian Hotel & Casino, which includes the largest gambling floor space in the world (55,000 square meters, or almost 600,000 square feet!). We also got a private tour of one of the ultra-premium suites. These suites aren’t for purchase, but are generously provided to the highest-spending clientele. The rooms were massive, and included a private pool and garden, 4 bedrooms, 2 full bathrooms, a workout room, a full kitchen, a private massage room, and two haircutting rooms with barber chairs and sinks. Excessive? Possibly. But I know if I were spending hundreds of thousands in one facility I would want my own private haircut as well. I’m on my way home now unfortunately, but I’ll be sure to leave one final post with a summary of what we learned, what we saw, and what it all means. Thanks again everyone!